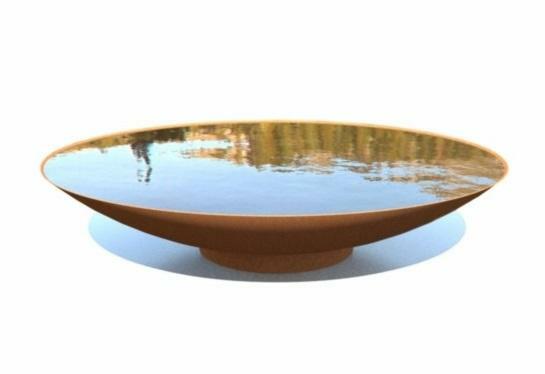 The Corten Steel Water Bowl is the perfect on trend water feature for your garden. Practical as well as Beautiful. Available in sizes from 60-150cm it is suitable for any sized space or budget! Starting out as a blue steel, as soon as Corten Steel is exposed to the elements it will naturally weather and develop its "rust like" finish. This natural fixed coating of rust provides protection against further corrosion. 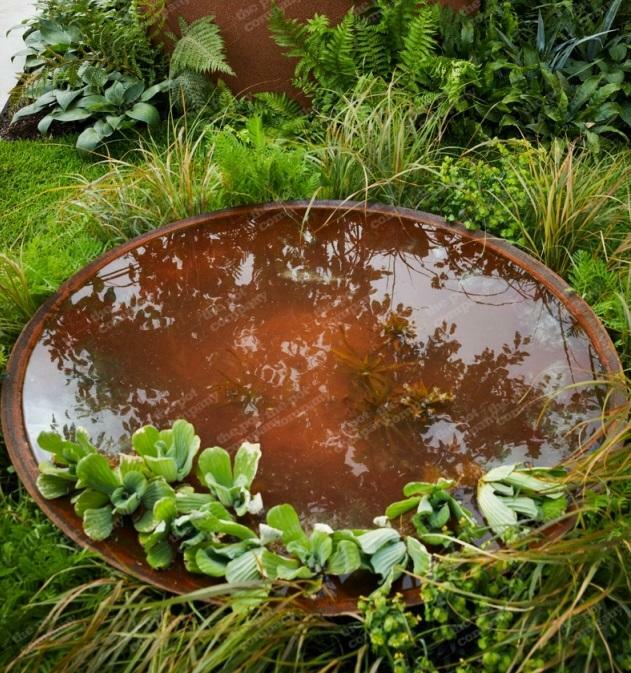 During the weathering process the Corten Steel produces carbon run off which can stain adjacent materials such as stone or concrete. 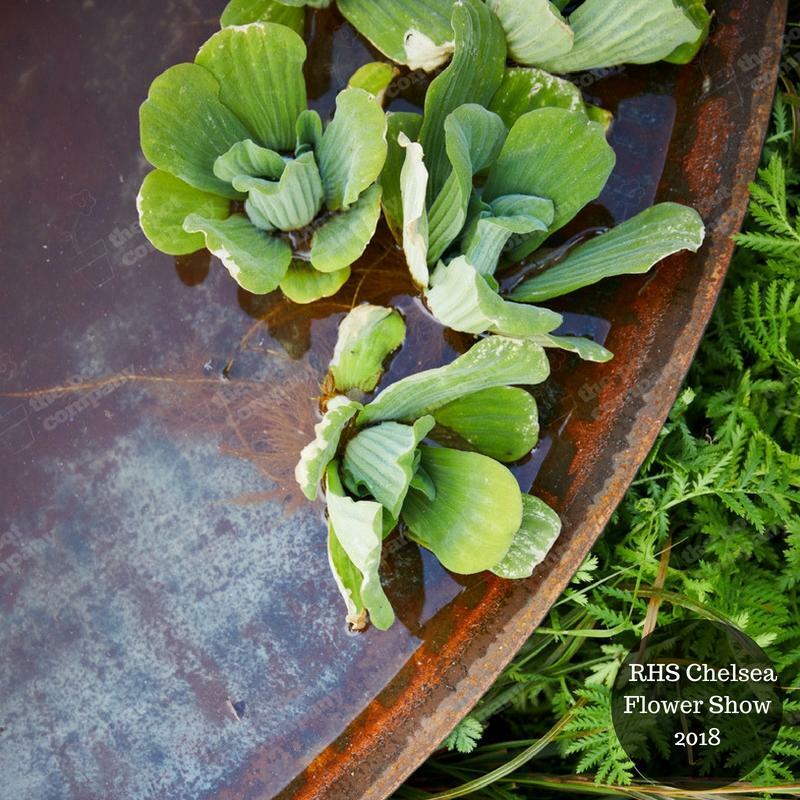 To reduce this possible staining, all products have small feet, lifting the planter and preventing direct contact with the flooring material. HOWEVER, we do recommend positioning it in a temporary location until you are happy that the run off has ceased. After the initial reactive period Corten Steel will cure and self-seal with little to no carbon run off for the rest f its life. Please note we can deliver this product at any point throughout the weathering process - so if you wish us to manage the weathering / run off period we can but of course the lead time will be longer. 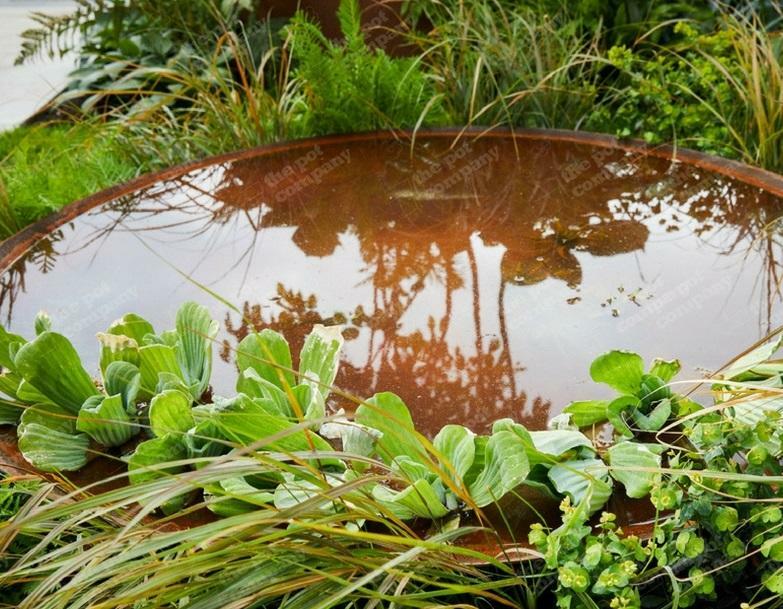 Please note - the prices include pallet delivery and for the 150 cm diameter largest bowl, the significant price jump includes, not just the much larger use of the expensive steel material but also a double pallet cost due to its size. Please contact the Ingarden team on 01732 463409 if you have a particular requirements or for more advice. If the water you will be using in your feature does not have a neutral PH level, the weathering process will be prolonged and an ongoing residue may form. As such, we suggest the use of a neutralising water supplement. Alternatively, the steel can be varnished with a rust oil, such as the Owatrol that we do sell. This should be carried out when the finish has developed to a satisfactory stage. We would still recommend maintaining neutral PH levels afterwards.